At our boutique hostel in Malaga we never stop renewing and reinventing ourselves! 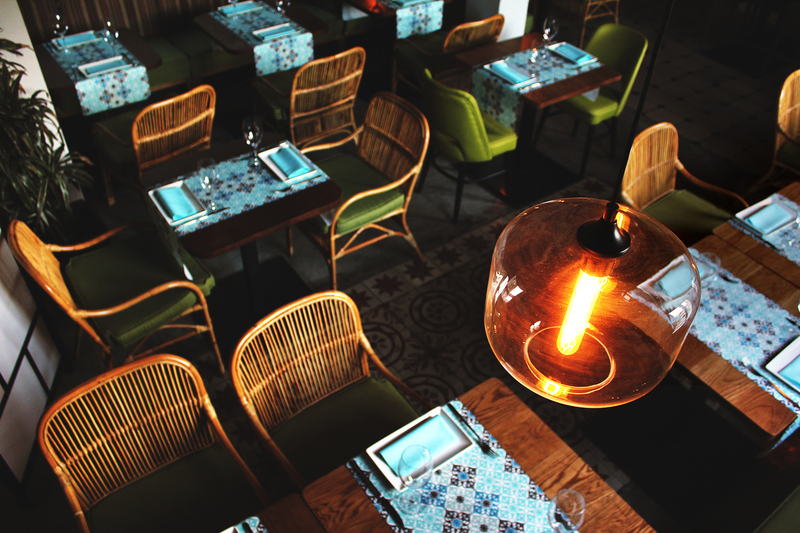 According to this philosophy, we redesigned the space of our restaurant Batik, one of the best valued in Malaga and a must for foodies who love international fusion cuisine. Now, we would like to present a Batik with a warmer, more welcoming and more stylish atmosphere, thanks to the combination of new designs, textures and prints. An updated furniture and a more spacious and comfortable space that will make our clients not want to leave our restaurant neither in the day nor in the night. Looking for a restaurant where to eat in Málaga? Batik is your choice. A different and original menu, where the mixture of international cuisines will take your senses to live colorful and tasty experiences, where the taste of traditional Malaga combines with the most conceptual Japanese cuisine or where you can combine one of our exotic dishes with an original cocktail or with one of our specially selected wines. And all this in a perfect environment, where everything has been prepared to the smallest detail, where special attention is paid to lighting and where every detail is thought to bring harmony, balance and comfort to our customers and diners, with an idea in mind: enjoying a unique, personal and different culinary experience in an intimate and welcoming atmosphere. Lastly, remember that your experience in Batik does not have to be the only thing… afterwards, you can go up to the Rooftop Terrace of our boutique hostel in Malaga downtown and enjoy exotic cocktails and unparalleled views. Get your reservation now and come and know our renewed Batik, we are waiting for you!